I have found that many of my life’s lessons have come from unlikely places and I’m a hardhead so those lessons are something I need to step in, personally. Like getting poo on your shoe and then trying to wipe it off onto the grass … that’s how I learn. This latest lesson-learned started a couple of years ago when I was wallowing in self-pity and thought myself to be lonely (I wasn’t). That’s when I decided that getting a few chickens might be just the tonic to soothe my wounded spirit. The original plan was for chickens AND goats. What a load of poo on my shoe that would have been. Deep down I believe I knew it would be a mistake but, of course, I rationalized my decision. Chickens eat ticks… I hate ticks. 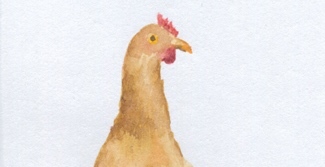 Chickens might eat bees and ground hornets (they don’t) … I hate bees and ground hornets. Chickens poop and so provide fertilizer, organic fertilizer for my struggling vegetable gardens… I like tomatoes. 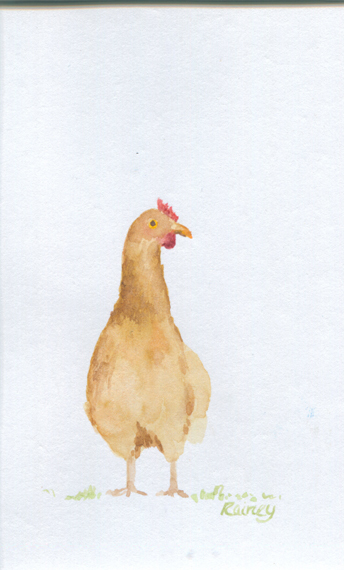 Chickens give you eggs and are cute… I like eggs and cuteness. Where, I thought, is the downside to this proposition? Of course, there would be no deterring, persuading or reasoning with me to rethink things from kind and caring friends and family. I was ALL IN. Chickens! Yes! I NEED THEM! Great idea!